When Kanye West indulges in his, shall we say, extracurricular activities—up to and including dumbass social media posts and poorly received rants on late-night sketch comedy shows—people will often say he’s doing it for the attention. If that’s the case—if Kanye is simply dabbling in the world of Trump in order to get a reaction from people—then he must feel pretty good about how things went down this weekend. Because he got a lot of reactions. Yesterday, rapper and producer Swizz Beatz posted a video in response to the claims Kanye made about being bullied for wanting to wear his MAGA hat on Saturday Night Live. Apparently, Swizz Beatz spoke with Kanye about his hat and disturbing endorsement of Trump “less than 48 hours ago.” He believed they had come to an understanding and was disappointed to see Kanye turn around and play the victim. He then shared some expletive-heavy musical thoughts on the hat itself. But Kanye wasn’t done yet. Following the bizarre SNL appearance, the rapper took to Instagram to double down on his love for his MAGA hat, claiming it “represents good and America becoming whole again.” Again, this garnered some reactions. 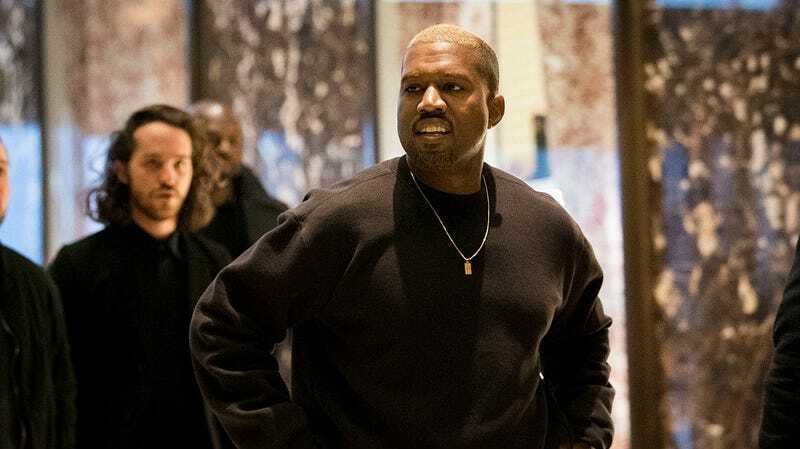 As far as the whole, “abolish the 13th amendment” thing goes, Kanye clarified in later tweets that what he meant was to modify the 13th amendment, presumably to make it illegal to use prisoners as free labor. Despite this slight backpedal, the post triggered a flurry of responses from disappointed fans and fellow celebrities like Lana Del Rey, who shared her thoughts in the post’s comment section. If Kanye is doing these things just to get attention and to get people talking about him again, well, mission accomplished. He does, after all, have an album coming out, and this is quickly becoming part of his promotional routine.